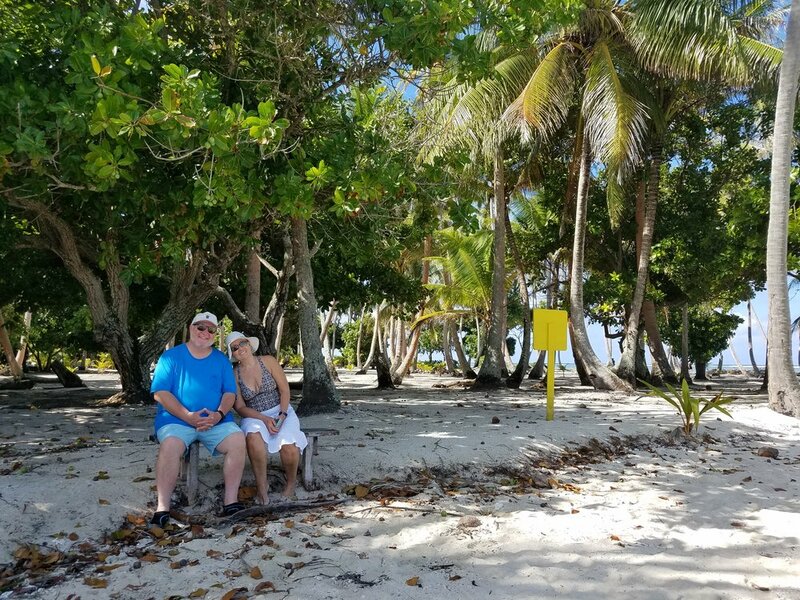 The fifth day of our Windstar Cruise was spent at Taha’a, a small island in the Society Islands of French Polynesia. Our first day was spent at sea, two days in the Tuamotu Islands and 4th day we were back at sea where we enjoyed a cooking class, spa treatments and a cultural lecture. The Tuamotus are very flat coral sand spits called atolls – a central lagoon surrounded by coral reef and narrow islands. It was a nice contrast to see the terrain of the Society Islands, the lush green hills against the turquoise water. 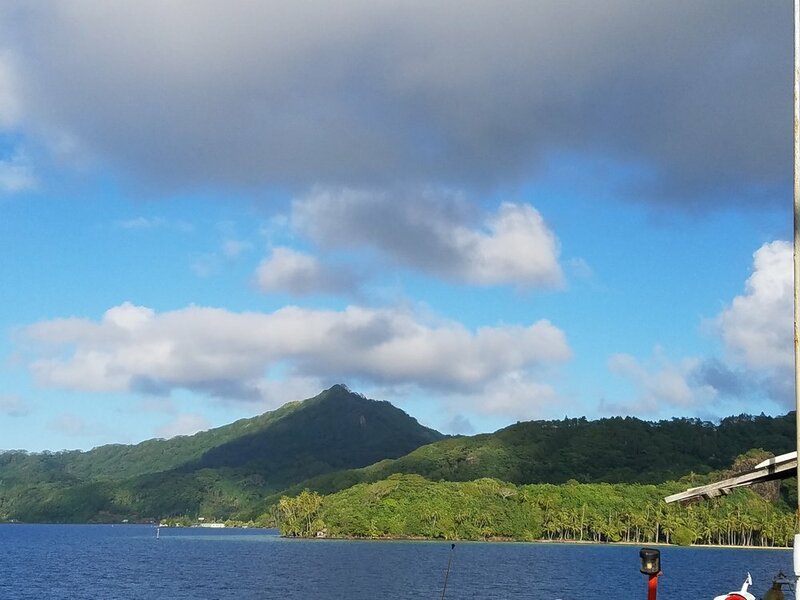 The Society islands are younger than the Tuamotus but older than Tahiti, the mountains are not as high and the coral reefs are forming atolls around the rim as they slowly sink into the sea. 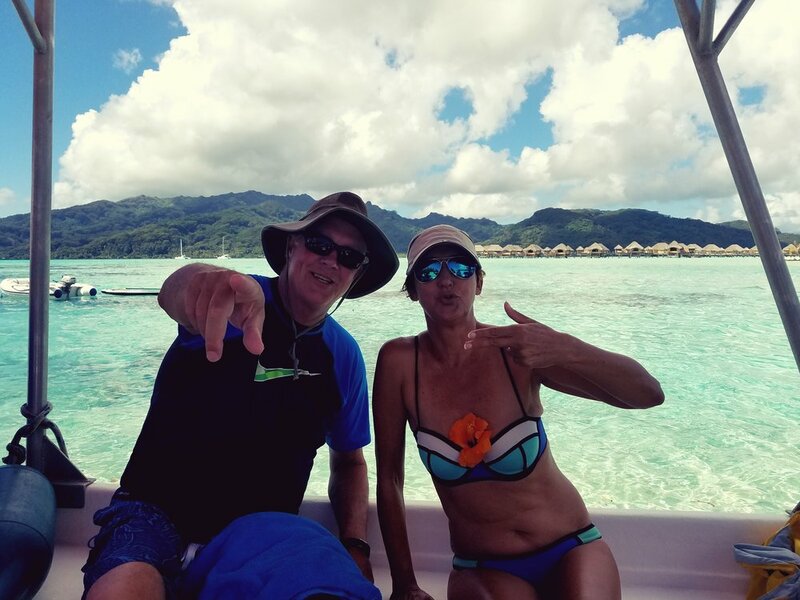 At Taha’a, also known as the vanilla island, Wind Spirit was anchored offshore and we chose to do the snorkeling trip that would take us to a pass called the Coral Garden to do some drift snorkeling. The tour company came right up to our ship and we were off on our adventure. With islands popping up out of the sea in every direction it was a very different experience and feel than where we had been. Once we made it to the pass they anchored the boat and we took our snorkel gear and walked along the shoreline to the opening of the pass. The first drift snorkel they wanted to keep us all in a group and told us to drift straight down. It was fun seeing the fish and coral pass by as we floated by. Once we made it to the base of the pass we were instructed to walk back to the top again and this time we were led in a zig zag pattern which required some swimming and some floating with the current. Some folks chose to do a 3rd trip, but we opted to stay near the bottom of the pass and snorkel there. We spent a lot of time being entertained by a rather aggressive Pirate fish which was very intent on protecting his territory. When we boarded the boat to head back there was a lovely spread of local fruit, mangos, bananas and coconut and water. Some of the snorkelers needed a little first aid upon boarding. One gentleman in particular had had a run in with the coral and his entire stomach was scratched. This was not our favorite tour. We thought the pass was too shallow and the group was too large to really make it as enjoyable as we would like. 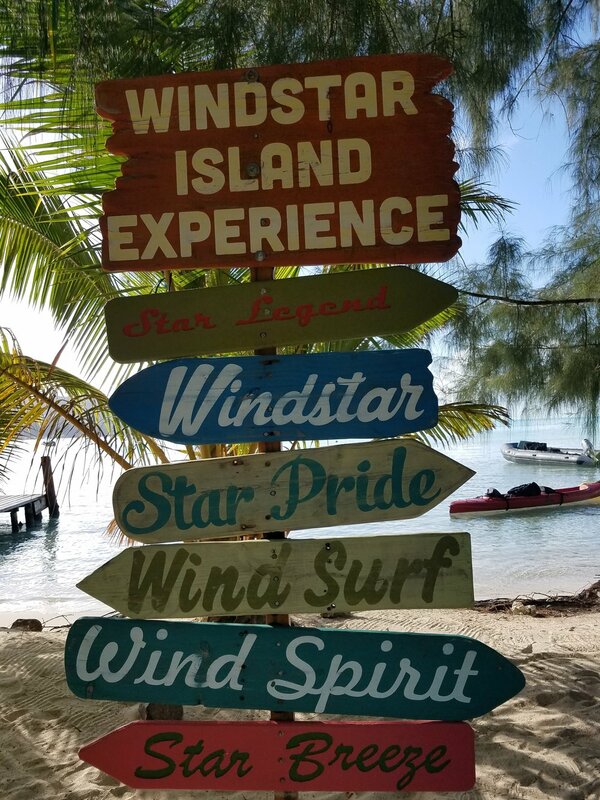 The tour boat took us directly to the private motu (small island) where the Windstar crew had set up for a fun afternoon. They brought everything we could possibly need, including the spa, bar, food and water toys. The BBQ was so wonderful. There is nothing like a cold beer and good BBQ al fresco after being above and below the water. The motu was lovely, there were trees providing shade, white sandy beaches, coral reefs to snorkel and beautiful views in every direction. We walked easily around the island and one of us even swam all the way around. We were on one of the last tenders back to the Wind Spirit and had just enough time to shower and get ready for our Sail Away. Tomorrow we would be in Huahine.